We believe managing pain is an essential part of providing quality and compassionate veterinary medicine. We use a multimodal approach to pain management (this refers to the practice of combining multiple drugs and/or methods) and tailor all pain protocols to the individual needs of each patient. We have a variety of treatments available including non-steroidal anti-inflammatory drugs (NSAIDs), opioids, corticosteroids, acupuncture and manual medicine (chiropractic). Acute pain in pets is typically obvious and distressing while chronic pain is often subtle and harder to detect. Unfortunately our pets can't talk so we always need to be on the lookout for any signs of pain they may display. While not a full list of signs and symptoms we have listed some of the more common signs in pets below. 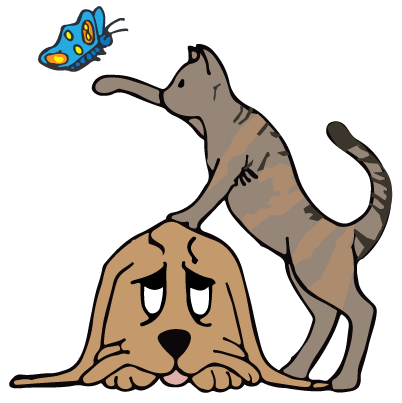 If you have any questions or concerns about whether or not your pet is experiencing pain please don't hesitate to call us at 603-329-6553.